Unusual clusters of fiery orange-scarlet flowers attract butterflies all summer until frost. Plants thrive in hot weather. GARDEN HINTS: In milder areas, sow directly outdoors after all danger of frost. 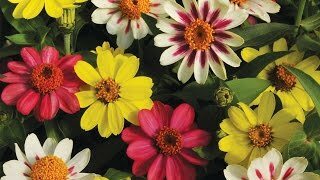 For flower arranging, cut when blooms are 2/3 open. Asclepias may be grown from seed sown early indoors and transplanted outside after frost, or sown directly in the garden after frost. Select a location in full sun with well-drained soil. Set plants 12 inches apart in the garden. Once planted leave plants undisturbed as asclepias develops a tap root. Direct sow seeds in average soil in full sun after all danger of frost. Asclepias prefers well-drained soil. Sow seeds thinly and evenly. Asclepias should be thinned to 12 inches apart. Deadhead asclepias to promote reblooming. Asclepias grows well with coreopsis, daylilies, achillea and ornamental grasses. This flower is a must have for any butterfly garden. Asclepias, Red Butterfly is rated 4.0 out of 5 by 12. Rated 5 out of 5 by Michelle15 from Butterfly magnet that is easy to grow I bought these seeds for the first time this year. I cultivated thin inside in winter and planted the seedlings in Spring. I only cultivated two seeds and both started great and survived the transplant to the garden. They both grew steadily throughout the summer and each started blooming late summer. They look exactly as pictured, but are much taller than described, although they need no staking. They're very pretty and neat. Most importantly, I have been astonished at the number of monarchs and other butterflies they attract. I have a lot of butterfly plants in the area where they are planted, but I feel that the monarchs gravitate to these. Maybe they have found their own little oasis in my yard! I'll definitely be planting these again. Rated 1 out of 5 by ChrissyFl from Bad quality and not the amount promised I do butterfly gardening so i gave these seeds a try. Not one grew and certainly there were not the amount in the seed bag promised...total waste of money! Rated 5 out of 5 by Patty1131 from Beautiful foliage and flowers. I started the seeds in peat pots and put them in a cold frame in late April and the plants are already 2 feet tall and flowering! I love them and will definitely plant more next year. Rated 5 out of 5 by Speechgrl82 from Beautiful! I bought this last year and we planted it with other native plants. By the end of the summer it was COVERED in caterpillars. We had tons of butterflies in this garden as well as honey bees. Rated 5 out of 5 by dmgj from One of my favorite! I buy these every year, and can't image my garden without them. Absolutely beautiful. The trick to growing these is to start them in the house early. I'm planting the seeds in January, as I did last year. They flower a lot earlier and the blooms keep coming. Rated 1 out of 5 by Charlie9822 from Not one seed germinated Planted the seeds in multiple sunny locations. Kept the beds moist and not a single seed sprouted. Rated 5 out of 5 by Antonio from I've always had these plants. They are known to us as milkweed. I also have the all yellow blooming plant of same type. I save the seeds and plant them close to spring. They attract monarchs butterflies, hummingbirds and bees. I love them. Easy to grow.